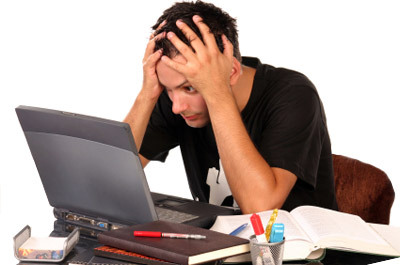 When I hear clinical research articles presented for Journal Club, the presentations are sometimes very dry and remind me of book reports–just regurgitating statements made by the authors of the article. In reality, Journal Club should offer a “deep dive” into study design and scientific methodology. In the following outline, I suggest a format for evaluating clinical research articles layer by layer. This can be used by the presenter as well as the discussion moderator to promote a more interactive Journal Club. Coincidentally, the same format can also be used by journal reviewers and editors when reviewing submitted manuscripts (in other words–this is how I review manuscripts). Background: Provide a brief synopsis of preliminary studies cited in the introduction leading up to the present study. Do the authors present a hypothesis or hypotheses? What is the primary aim/objective of the study? Secondary aims/objectives? Is there a sample size estimate and what is it based on (alpha and beta error, population mean and SD, expected effect size)? Is there a control group–placebo (for efficacy studies) or active comparator (standard of care)? Analysis: What statistical tests are used and are they appropriate? 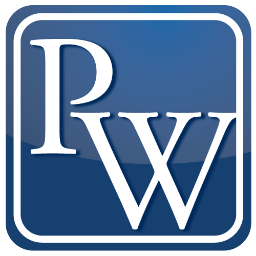 How do the authors determine statistical significance (p-value or confidence intervals)? How are the results presented in the paper and are they clear? Conclusions: Skip the discussion section of the paper at first and come up with your own conclusions based on the study results; then read what the authors have to say. Do We Need the ASRA Pre-Block Checklist? Originally included in my editorial for the May 2014 issue of ASRA News. I make checklists for everything. Whenever I go on a trip, I use the same packing checklist to make sure I don’t forget anything – umbrella, jacket, socks, snacks, passport, and a few other things. Using a checklist not only ensures that I bring everything I’m going to need on the trip; I’m convinced that it makes my packing ritual faster because I don’t have to keep going back and forth to my suitcase whenever I suddenly remember something I left out. Even our dog has her own packing checklist for trips to her sitter’s house. Now that my wife and I have 2 kids, the traveling checklist has gotten more complex and even more essential. As an anesthesiologist, I believe that checklists are part of our culture whether we state them explicitly or not. When I first started my training as a new anesthesiology resident, I learned a mnemonic “MOM SAID” (although there are variations) to check and set up my anesthesia workstation before every case. Each letter stood for an important element of my preparation checklist: Machine Oxygen Monitors Suction Airway IV Drugs. I would then follow this mnemonic with reminders for myself; for example “MOM SAID, ‘don’t forget your stethoscope’” or “MOM SAID, ‘don’t forget to print a baseline EKG strip.’” Over the years, I have found modified forms of this same checklist to be useful just before and after induction, and I continue to use this method today. Unfortunately, in the complex environment of surgery and perioperative medicine, there aren’t easy mnemonics for everything, and medical errors happen. The use of a formal checklist for surgical and invasive procedures that promotes interactive discussion among all team members and includes important steps related to the entire surgical episode has been promoted by the World Health Organization (WHO) as part of its global Safe Surgery Saves Lives campaign (http://www.who.int/patientsafety/safesurgery/en/). In the May 2014 issue of ASRA News, our Resident Section Committee article by Dr. Jennifer Bunch presents her experience implementing the WHO Surgical Safety Checklist abroad. In regional anesthesiology and pain medicine, one of the most dreaded complications besides nerve injury and local anesthetic systemic toxicity (LAST) is the wrong-site block. The risk factors related to this medical error have been well-studied and include patient, physician, procedural, environmental, and system factors (1,2). Despite the best intentions, wrong-site blocks have not gone away (3-5). 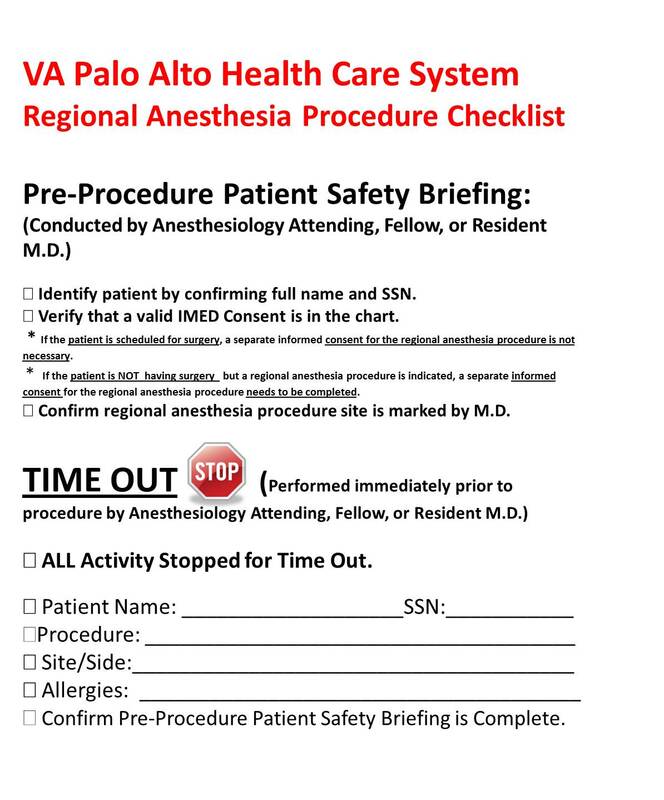 ASRA has been hard at work developing a standardized pre-procedure checklist for regional anesthesiology that has been published in Regional Anesthesia and Pain Medicine. 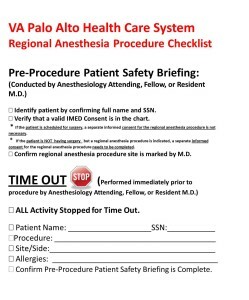 ASRA’s recommended checklist includes the following elements: patient identification with assessment of pertinent medical history, separate verifications of the surgical procedure and block plan, confirmation that appropriate equipment and medications for the block procedure and resuscitation are immediately available, and a pre-procedural time-out. 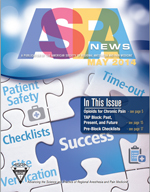 Dr. Mulroy was charged with heading this task force and has been kind enough to summarize ASRA’s checklist project in this issue of ASRA News. With the publication of this checklist, ASRA is once again taking a stand in support of patient safety. The process of verifying the correct patient, correct site, and correct implants or devices for patients undergoing any invasive procedure, including peripheral nerve blockade, must be consistently and reliably applied for every patient. Since there is no easy mnemonic to help providers remember every step, and the order in which they must occur, I suggest using a standardized cognitive aid for block procedures (Figure 1) that should be posted in a consistent location visible to all providers involved in the procedure and in every location in which these procedures will occur. During the time-out process, it is essential that all team members involved in the patient’s procedure stop what they are doing and actively participate. When I started my current job in 2010, the Veterans Health Administration (VHA) had just issued Directive 2010-023, “Ensuring Correct Surgery and Invasive Procedures,” and this VHA Directive was considered inclusive of regional anesthesia procedures. We have had a process similar to the ASRA checklist in place since then, and I acknowledge that implementing change is hard. Yes, following a checklist requires extra steps. Yes, it may even take more time. The bottom line is – it takes a lot more time, effort, and expense to deal with the complications that may result if you don’t do this. The ASRA checklist is not prescriptive and allows for local institutional interpretation and application. If I routinely use a checklist when I pack my suitcase, I can’t think of any good reason not to use one for the safety of my patients. O’Neill T, Cherreau P, Bouaziz H. Patient safety in regional anesthesia: preventing wrong-site peripheral nerve block. J Clin Anesth. 2010 Feb;22(1):74-7. Cohen SP, Hayek SM, Datta S, Bajwa ZH, Larkin TM, Griffith S, Hobelmann G, Christo PJ, White R. Incidence and root cause analysis of wrong-site pain management procedures: a multicenter study. Anesthesiology. 2010 Mar;112(3):711-8. Edmonds CR, Liguori GA, Stanton MA. Two cases of a wrong-site peripheral nerve block and a process to prevent this complication. Reg Anesth Pain Med. 2005 Jan-Feb;30(1):99-103. Stanton MA, Tong-Ngork S, Liguori GA, Edmonds CR. A new approach to preanesthetic site verification after 2 cases of wrong site peripheral nerve blocks. Reg Anesth Pain Med. 2008 Mar-Apr;33(2):174-7. Al-Nasser B. Unintentional side error for continuous sciatic nerve block at the popliteal fossa. Acta Anaesthesiol Belg. 2011;62(4):213-5. Originally included in my editorial for the May 2013 issue of ASRA News. 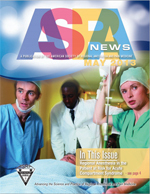 In the May 2013 issue of ASRA News, I want to highlight a special Pro-Con feature dedicated to the controversial topic of regional anesthesia and analgesia in the patient at risk for acute compartment syndrome. I want to personally thank our surgical colleagues from the University of Alberta who were willing to write a thoughtful “Con” article for our newsletter. Before jumping to debate each of their points, we need to give them careful consideration. With the paucity of evidence-based recommendations on this topic, it is crucial to have an open honest dialogue between all members of the healthcare team. This Pro-Con is not meant to provide answers but to provide talking points for an ongoing conversation. 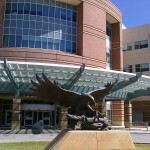 In my previous position at UCSD, we had a Level 1 trauma center where we would keep one operating room (OR) set up and warm at all times for the occasional direct-to-OR resuscitation. We saw all types of acute and subacute orthopedic trauma, and no two cases were approached the same way. Did I consider regional analgesia for each of these patients? Yes. Did I perform regional analgesia for all of them? No. In order to have a meaningful discussion on this topic with our surgical colleagues, we must first be part of the conversation. In the specialty of Regional Anesthesia and Acute Pain Medicine, this means emphasizing more the “Acute Pain Medicine” part than the “Regional Anesthesia” part. The value that we bring to perioperative patient care must be more than just a set of interventional peripheral nerve and neuraxial block techniques. We have to know when these techniques are and are not indicated and have other modalities for analgesia at our disposal when providing consultation on complicated trauma patients. In addition, the service we provide cannot be time-limited. How can we say that superior pain control is only available from 7 am to 5 pm not including weekends and holidays? When it comes down to it, managing patients at risk for compartment syndrome is tough. The benefits of analgesia have to be weighed with the potential for neurovascular compromise. Sometimes you will perform regional analgesic techniques for them; other times you won’t. Sometimes, you will place catheters that you can dose later when the risk profile improves; other times you may be consulted for help later in the hospital stay. Sometimes you will convince the surgeon to preemptively perform fasciotomies in a patient in whom you anticipate a difficult postoperative course. The context for this decision-making will vary from institution to institution, but ongoing communication with the surgical team is indispensible. Be a consultant; be available; and continue to be part of the conversation. Originally included in my editorial for the November 2013 issue of ASRA News. 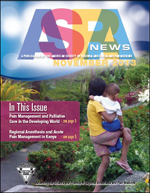 In November 2013 issue of ASRA News, we feature two very special articles that touch on the common theme of global humanitarian aid and volunteerism. Our Resident Section Committee article by Dr. Anish Doshi provides us with an overview of the paucity of pain management and palliative care services in the developing world. As a new column for ASRA News, the Member Spotlight, we present the amazing work of Dr. Randy Malchow and his team in bringing regional anesthesia and perioperative pain management services and education to Kijabe Hospital in Kenya. I should say that the contents of this editorial/blog are my own opinions and do not necessarily represent the official views of ASRA. The subject of medical volunteerism and global humanitarian aid is important to me, having personally participated in multiple medical missions to underserved communities in the Philippines and Ecuador over the last decade. Many of our ASRA members have dedicated their time and resources to similar causes at home and abroad, and the American Society of Anesthesiologists (ASA) has its own Global Humanitarian Outreach (GHO) Program. The statistics related to anesthesia and pain management in the developing world are quite shocking. It is not uncommon for developing countries to have a ratio of less than 1 anesthesiologist for every 100,000 people! In the realm of pain management and palliative care, the article by Dr. Doshi is particularly eye-opening and should serve as a strong motivator for our members to get involved in helping the underserved. What is the best way to do that? The GHO offers a search engine for ASA members to look up volunteer opportunities abroad. Not everyone can take weeks or months off work to travel to far-away places. I have been fortunate in that my wife and I have been able to volunteer together—that is, until recently when we started our latest adventure (parenting). In addition, although not naturally a cynic, I find myself questioning the real difference certain medical mission groups make. Even though the before and after photos look great, how much difference does it make to a community when a medical mission group swoops in, repairs some cleft lips, and leaves without every returning? Yes, I understand the social stigma associated with congenital deformities; I have seen it firsthand. However, I also know that there is a bigger picture to consider—patient education on nutrition, prenatal care, and health care maintenance; access to basic resources, including food, shelter, and transportation; and infrastructure improvements that are required to sustain change. Furthermore, does this paternalism actually do damage to future relationships with local health officials and governments within the countries in need, especially when late complications arise after the medical mission groups are long gone? 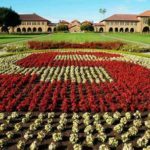 When you read Dr. Malchow’s article, one of the most impressive features of this program is its sustainability. Not only does this volunteer group provide medical and surgical services to patients in need—a critical part of its “mission” is education of local providers. Under the direction of Dr. Mark Newton, the Vanderbilt International Anesthesia (VIA) program is engaged in an ongoing relationship with Kijabe Hospital; and by training future generations of local anesthesia providers, VIA is raising the quality and safety of anesthesia and pain management services for the entire region. One of the most important messages in Dr. Malchow’s article is that you don’t have to fly to Kenya to make a difference. VIA would not be able to accomplish its goals without the countless people who have donated medical supplies and money for equipment and shipping. I have been very fortunate to have joined medical mission groups that generally return to the same communities year after year. One of the most rewarding aspects of participating, in my experience, has been developing relationships—with team members, local physicians and nurses, students and residents, government officials, and patients and families. Although we can congratulate ourselves on what we have accomplished so far, there is still so much work left to do. Imagine — where would elective surgery be today if patients still worried about operating rooms exploding or developing liver and kidney failure from anesthesia? Without advances in #anesthesia, where would #surgery be today? Having major surgery would be a very different experience without anesthesia. Before the advent of safe anesthesia techniques, the world of surgery was basically limited to amputations and other attempts at life-saving maneuvers. Dr. Bigelow’s publication describing the safe administration of ether changed everything, and the New England Journal of Medicine called this the most important article in its history. With this article, the science and clinical practice of anesthesiology, as well as the modern era of surgery, were born. How is “anesthesiology” different than “anesthesia?” Anesthesiology is a science like biology or physiology and a field of medicine like cardiology or radiology. Anesthesia, a word with Greek origin, means “without sensation.” There are different types of practitioners who can administer anesthesia, but not all of them are anesthesiologists. The heart of anesthesiology continues to be the patient experience. As anesthesiologists, we are physicians who specialize in relieving anxiety, preventing and treating pain, preventing and managing complications related to surgery, and improving the outcomes for patients who undergo invasive procedures. Not only are we clinicians who apply the best available evidence in our patient care practice; we are the physicians and scientists who develop the evidence. The clinical practice of delivering anesthesia should not take place without the involvement of anesthesiologists. Often referred to as “going to sleep,” general anesthesia itself is actually not that simple. In fact, there is a lot of science behind the turning of dials that many patients and providers take for granted. Anesthetic agents have not always been as safe as they are today, and anesthesiologists were responsible for conducting important research to retire some of the anesthetics that had the potential to cause patients harm. Thanks to anesthesiologists, we have fast-acting and safe anesthetic gases that have facilitated the evolution of same-day outpatient procedures. The heart of anesthesiology continues to be the patient experience. 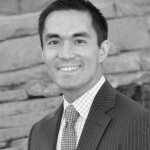 One study that has guided my practice was conducted by my residency advisor, Dr. Alex Macario. His research team surveyed patients having elective surgery to ask them which adverse effects of anesthesia they wish to avoid most. The answers are a little surprising. Two of the top 4 items are nausea and vomiting, with vomiting being #1. To improve the experience for patients undergoing anesthesia, anesthesiologists have studied medications that prevent nausea and vomiting after surgery and have established practice guidelines to share their recommendations with anesthesia providers and patients everywhere. My own research has focused on developing safe pain management techniques for patients having surgery that decreases the need for narcotics. Like other anesthesiologists before me, I have studied target-specific pain relief techniques using local anesthetic nerve blocks that allow patients to recover at home instead of staying in the hospital for pain control after surgery. What does this mean for you as a patient? It means sleeping better in your own bed in your own house instead of in the hospital. It means using less narcotic pain medication and avoiding the side effects like nausea and constipation that come with it. It means that family members who take care of you at home can do this more easily, and they need to take less time off work. It means that you as a patient can recover more quickly and get back to doing the things you want to do. I apply my research results and the results of other anesthesiologists’ research studies to my clinical practice every day. I don’t pretend to have all the answers, and I am very wary of those who say they do. Like many of my anesthesiology colleagues, I see potential research questions and opportunities to improve the surgical experience in daily patient care activities, and I am fortunate to work in an environment that supports investigation and inspires innovation. 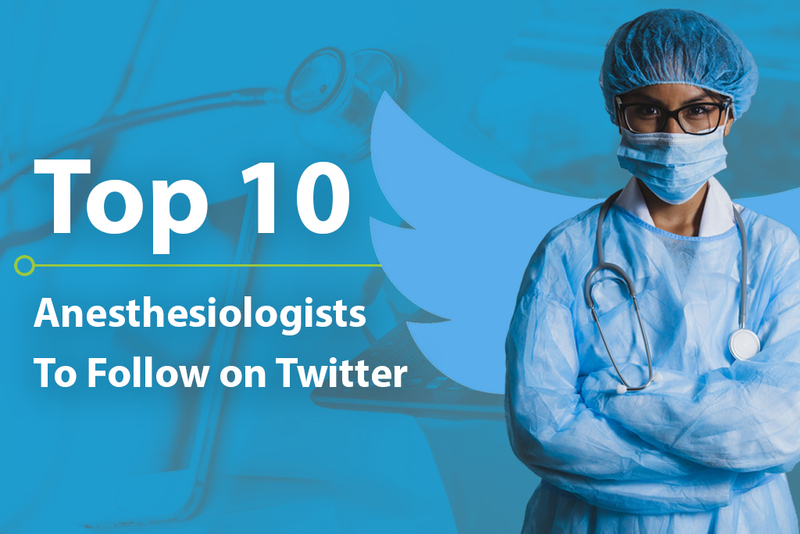 Anesthesiologists are physicians, scientists, educators, patient safety advocates. I have been told that it is difficult sometimes to distinguish an anesthesiologist from other anesthesia providers by what we wear and how we look. That may be true, but there is something special about how anesthesiologists think — how we perceive clinical information, analyze it, interpret it, and apply it — that patients need to know.